Sounds like a great basis for a story/character. He should approach historical figures the same way he did in The Master- approximations of individuals. Drawing directly from history but using his own characters to explore the situations and moments he wants. Heck- The Master certainly isn't the first film where he did this. But I feel it's where he did it best. Take the "I drink your milkshake" line from There Will Be Blood. There are a lot of people out there who I'm sure think, "Kind of hit a sour note with the 'milkshake' bit, Paul" [laughs]. Because, yeah, it's big. But if memory serves, that exact line was taken from a transcript from the 1920s, when the Teapot Dome scandal was going on, so . . . if you can convince yourself that there's some link to reality, then you can justify anything. He doesn't need to do a biopic that mirrors reality- in fact, I think that would work against him. The dude is big admirer of American culture/people/history, he has so much to draw upon, so much to use- to create something fresh but real. This probably all sounds basic and straightforward but goddamn, did he make the alternate reality of The Master feel so real without it ever feeling like a cheap allusion. There is certainly more than enough material in James' bio for a fascinating film and a fascinating performance by DDL. It also strikes me -- after reading the bio and checking out some photos -- that James' wife, Nancy Lee Gregory, could be in Maya Rudolph's wheelhouse. Which could be really cool. Deadline reports that Focus Features have won an auction for worldwide rights for the new movie from the “Magnolia” and “Inherent Vice” director, which will reteam him with his Oscar-winning “There Will Be Blood” star Daniel Day-Lewis. As previously reported, it’ll be a drama set in the fashion world in the 1950s, and Focus will finance the $35 million budget entirely, making this one of the biggest deals ever struck at a festival. While details are still thin on the ground (aside that Anderson will produce alongside longtime producing partner JoAnne Sellar and Megan Ellison, who backed his last couple of films too), the good news is that we shouldn’t have long to wait: shooting will apparently begin next year for a release before the end of 2017. It couldn’t be better news to start the fall season off with (particularly with Focus, who looked to be getting out of the prestige game for a while, but see this joining a slate that also includes movies by Tom Ford, Joe Wright and Sofia Coppola, among others). More news on this as we get it. Even if he's (secretly) way far along in pre-production, that would really represent slimming things down and speeding things up for this one. Lean and mean no-frills drama. I like it. Any further word on who the cinematographer might be? Anyone got any dream DoP's they'd pair with PTA (excluding the guys he's worked with already)? Paul is producing an upcoming film by Melora Walters! Bingo, on the last part, as far as I heard. That's pretty crazy. I wonder if the small crew/freedom of Junun gave him the confidence to go do that. Wow. That's a huge decision to make. If this is the case surely it wasn't a choice that was made for budgetary reasons. Apart from anything else most DoP's would give their right arm to work with PTA regardless of budget. I think he's always been pretty hands on in that respect anyway, and seems to be in control of the aesthetic for each film. I can't think of any other films shot by Robert Elswit that even come close to the work he's done with PTA. I'm assuming this will be shot on film so while the Junun experience may have given him confidence in the smaller crew this will be completely different. I can't wait to see what he comes up with if this is true. 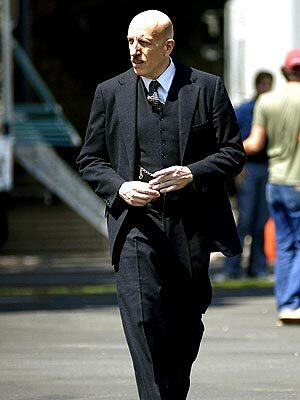 Daniel Day-Lewis spotted filming in Lythe, England! The Film Stage says it´s Paul´s new movie! Oh no, it's Vincent Froio again.